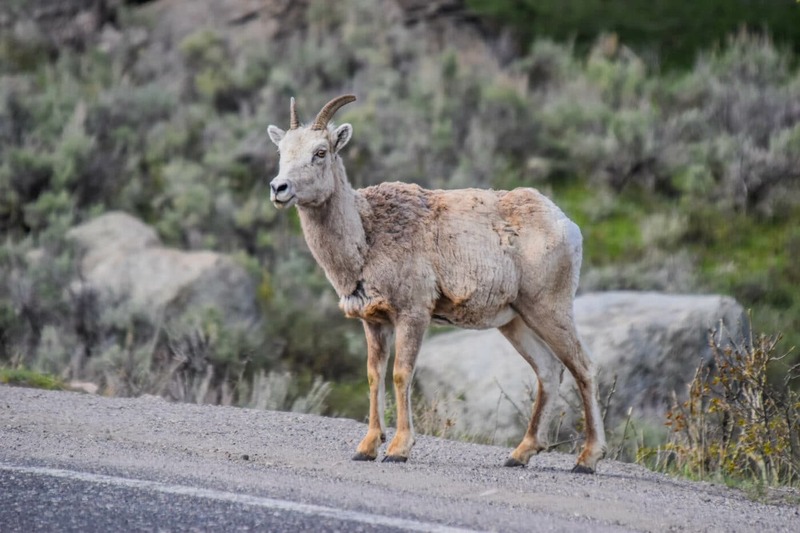 The first step in planning any visit to Yellowstone National Park is deciding how you are going to get there. 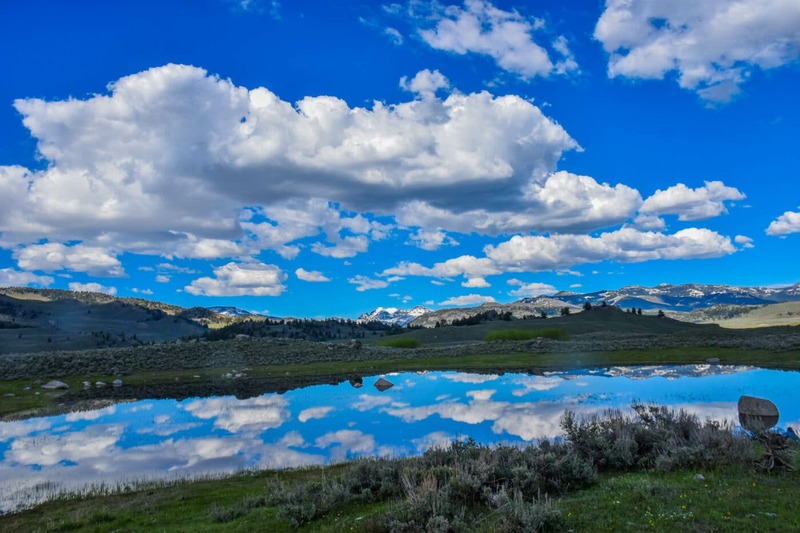 Very few people are lucky enough to live within a four-hour drive of Yellowstone National Park. 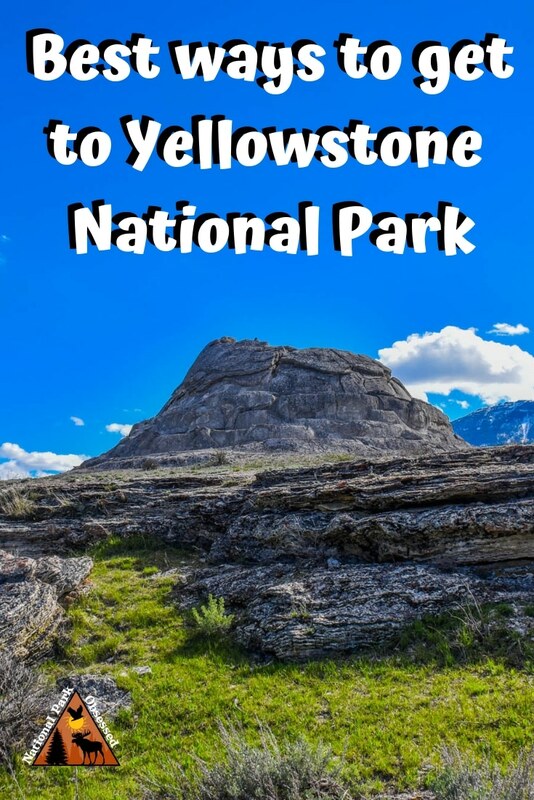 This makes it hard but not impossible to take a weekend trip to Yellowstone National Park. Yellowstone isn’t the easiest of the National Parks to visit. But we are going to breakdown all your option for how to get to Yellowstone National Park. 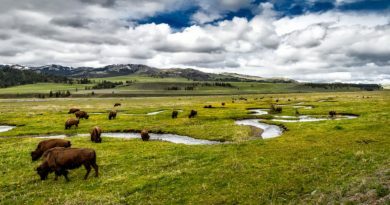 Flying to Yellowstone National Park and then renting a car is the best way to visit the Yellowstone National Park. Yellowstone’s location is a little remote but there is a range of regional airports located near the park. All the airports have rental cars available and make access to the park easy and time efficient. Yellowstone Airport (WYS) is a seasonal airport one mile from downtown West Yellowstone, Montana. The airport is open from June to September. Delta Airlines and their partner SkyWest Airlines operates flights from Salt Lake City. Yellowstone Airport is the closest airport to Yellowstone National Park. Yellowstone Airport (COD) is not to be confused with the Yellowstone Airport in West Yellowstone. Yellowstone Regional Airport is located in Cody, Wyoming on the west side of the park. The airport is the closest airport to Yellowstone that is open year round. That being said, the east entrances of the park are closed during winter. So this airport only provides access to the park from late spring to mid-fall. 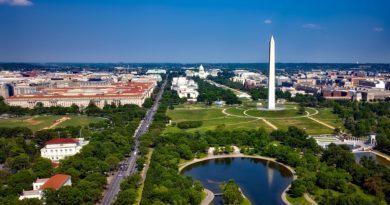 Delta and United offer daily flights from their regional hubs. Jackson Hole Airport (JAC) is located near Jackson, Wyoming. The airport is open year around. The airport is serviced by Delta, American Airlines, and United. During the summer flights arrive from all over the United States. During the rest of the year, flights arrive from Salt Lake City, Denver, and Dallas/Fort Worth. The Jackson Hole Airport is the only airport located in a national park. Bozeman Yellowstone International Airport (BZN) is located near Bozeman, Montana. The airport is open year round and is the busiest airport in Montana. The airport is serviced by Delta, American Airlines, United, Frontier, Allegiant, and Alaska Airlines. JetBlue offers flights during the summer. Direct flights are available from much of the United States all year long. Bert Mooney Airport (BTM) is located in Butte, Montana. The airport is open year round. It is serviced by Delta via Salt Lake City. The airport is named for Bert Mooney, the first pilot to fly mail into Yellowstone National Park. Billings Logan International Airport (BIL) is located in Billings, Montana. The airport is open year round. Billings is the second largest airport in Montana. The airport serviced by Alaska Airlines, Allegiant Air, American Airlines, Cape Air, Delta, Frontier, and United. Boise International Airport (BOI) is located in Boise Idaho. The airport is called an international airport but there are no scheduled international flights. Alaska Airlines, Allegiant, American Airlines, Delta, Frontier, Gem Air, Southwest, and United all operate flights out of this airport. Denver International Airport (DEN) is located in Denver, Colorado. Denver is the second largest airport in the world. The airport is a hub for Frontier and United and a main operating base for Southwest Airlines. Alaska Airlines, Allegiant, American Airlines, Air Canada, Boutique Air, British Airways, California Pacific, Cayman Airways, Copa Airlines, Icelandair, Lufthansa, Spirit, and Delta all operate flights out of this airport. There is no public transport to Yellowstone or around Yellowstone National Park. This is a serious flaw in visiting the park and a contributing factor to overcrowding and traffic issues in the park. The closest train station is in Amtrak station is Salt Lake City. 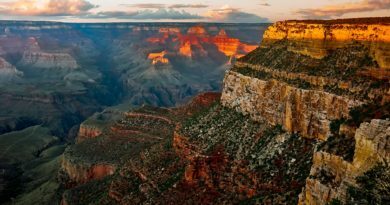 From there several companies offer 5-day tours of the park with all transportation and accommodations included. Greyhound Bus Lines can get you to Bozeman, Montana but there is no public transport from Bozeman to the park. During the winter, Xanterra offers shuttles from Bozeman to the Mammoth Hot Spring Hotel and Cabins. Yellowstone National Park is kind of in a black hole of interstates. It is located just off center in a square between I-90, I-25, I-80, and I-15. None of the interstates are located near a boundary of the park. I-15 and I-90 come close but they are still about an hour away from any of the park entrances. Unless you are taking a tour, it is impossible to explore Yellowstone National Park without a vehicle. 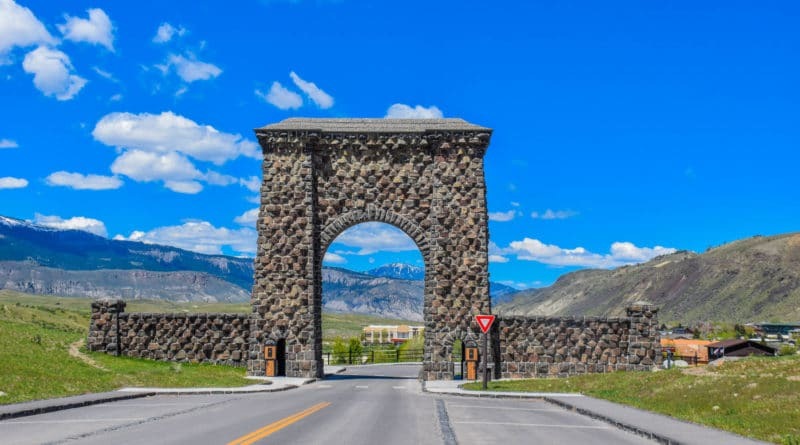 Yellowstone National Park has 5 entrances. During the winter only the North entrance is open year round. 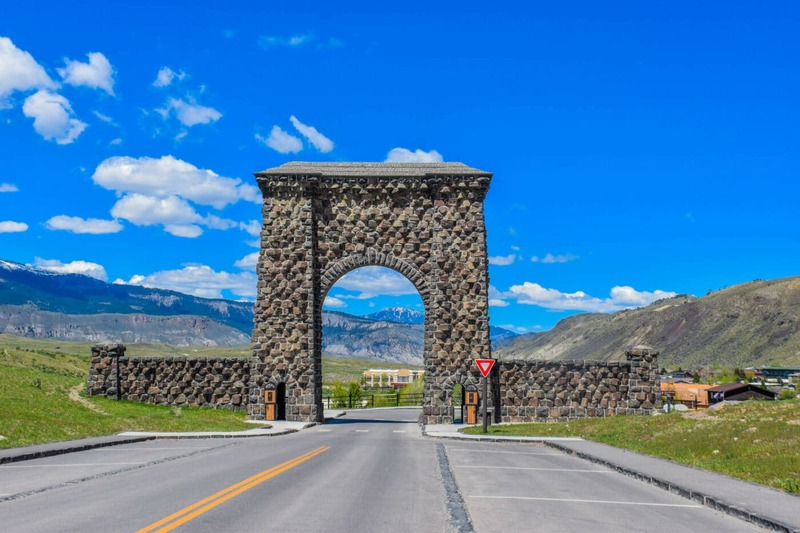 You can drive into Mammoth Hot Springs area. All other entrances are closed to vehicle traffic. The West Entrance and South Entrances are closed to car traffic but is open to guided snowcoach or snowmobiles tours. The South and East Entrances offer guided snowmobile tours.